Old City has excellent walkability, is easy to get around on a bicycle and is a haven for transit riders, according to Walk Score's rating system. 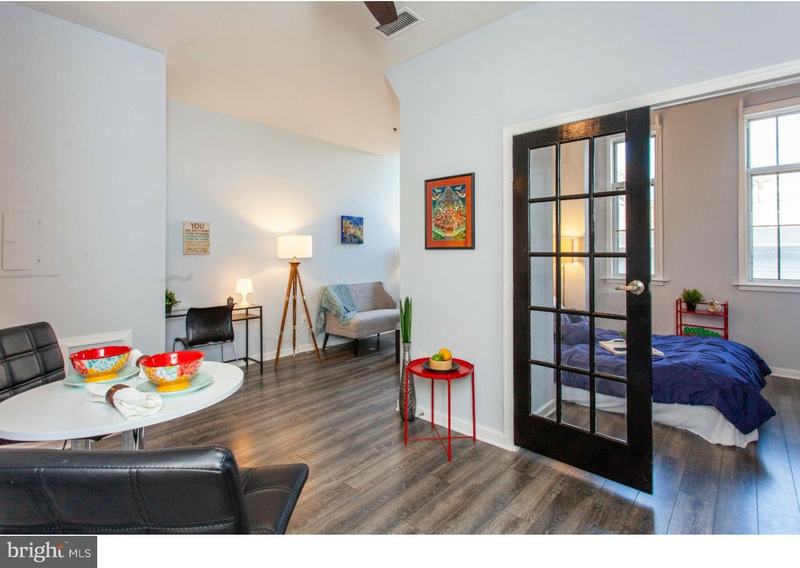 We took a look at local listings for studios and one-bedroom apartments in Old City via rental site Zumper to find out what price-conscious apartment seekers can expect to find in this Philadelphia neighborhood. Listed at $1,275/month, this 485-square-foot studio condo, located at 315 New St., #311, is 14.7 percent less than the $1,495/month median rent for a studio in Old City. Amenities offered in the building include a roof deck and an elevator. In the unit, you'll find air conditioning, in-unit laundry, hardwood flooring, high ceilings and a dishwasher. When it comes to pets, both meows and barks are welcome. There's no leasing fee required for this rental. Then there's this 511-square-foot abode at 117 Chestnut St., #21, listed at $1,450/month. The unit boasts air conditioning, hardwood flooring, a walk-in closet, stainless steel appliances and granite countertops. Pet owners, inquire elsewhere: this spot doesn't allow cats or dogs. Future tenants needn't worry about a leasing fee. This one-bedroom, one-bathroom apartment, situated at 713 Walnut St., ##3F, is also listed for $1,450/month. In the unit, the listing promises both air conditioning and central heating, hardwood flooring, a walk-in closet, in-unit laundry and granite countertops. Neither cats nor dogs are welcome. And here's a one-bedroom, one-bathroom rental at 50 N. Front St., which, with 662 square feet, is going for $1,500/month. When it comes to building amenities, expect a roof deck and outdoor space. In the unit, expect to find air conditioning, a balcony, in-unit laundry, a dishwasher and hardwood flooring. Pet owners, inquire elsewhere: this spot doesn't allow cats or dogs. There isn't a leasing fee associated with this rental. Finally, there's this 750-square-foot one-bedroom, one-bathroom condo at 9 N. Ninth St., #309. It's being listed for $1,600/month. Apartment amenities include air conditioning, a mix of hardwood floors and carpeting, in-unit laundry, large windows and a breakfast bar. Pet owners, inquire elsewhere: this spot doesn't allow cats or dogs. There's no leasing fee required for this rental.